Since 1997, A. McKenna Plumbing has been providing superior plumbing services to Oakville residents. By consistently treating customers like family, we have built a solid reputation in the Oakville area for being the most reliable and trustworthy plumbers around. Our Oakville plumbers live in the same city that you do and provide you with the best plumbing services possible in the city. 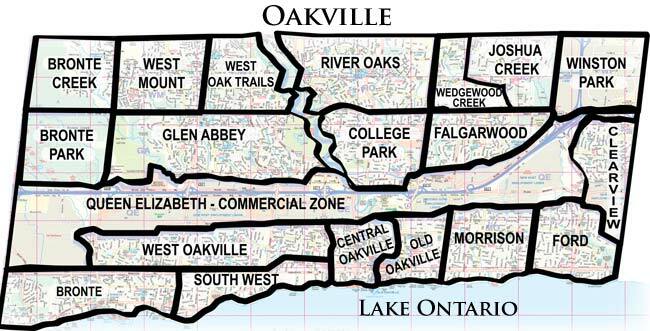 We're located in the Bronte neighbourhood of Oakville. Whatever your plumbing problem is – from a leaking toilet, to a faulty faucet or a frozen pipe – A. McKenna Plumbing will quickly find you the solution! Are you building or remodeling a home? Our staff will provide with you with the expert service needed to create the home of your dreams. All our plumbers are fully certified and extremely knowledgeable on the best, most cost-effective way to fix a plumbing issue. Whatever the issue is, big or small, our staff can deliver a solution! The experts at A. McKenna Plumbing will quickly prove to you why we are the number one plumbing company in the Oakville area. Right from the moment you place a call to our office to set up an appointment, you will be treated with the utmost professionalism. When arriving at your home, you will be greeted by a plumber who arrives on time in a clean truck with their plumbing qualifications on them. Our plumbers work quickly to identify the reason behind your plumbing issue and will provide you with an honest assessment of the problem. We take the utmost pride in our work, which you will quickly see for yourself upon hiring us for your Oakville plumbing job. Regardless of the time of day or night, when you have an emergency plumbing issue in Oakville, call A. McKenna Plumbing. We know that plumbing problems can become big issues in your home and will work quickly to get the problem under control. Even during an emergency repair, our professionals will remain calm and dedicated to providing a quality service experience. They will work hard to stop the problem as quickly as possible,before there’s a chance for water damage. The best part? We don’t charge a premium fee because it’s simply deemed an emergency plumbing repair. See for yourself why we are the number one plumbing company in Oakville! Not only are our plumbers highly committed to fixing your problem right the first time, but they are also dedicated to providing 100% customer satisfaction. The best way to grow a company is by word of mouth, which is exactly how A. McKenna Plumbing has gotten to where it is today. By providing quality, reliable, trustworthy service every time a customer calls, customers happily refer us to friends and family. Experience why we are the best plumber to call in the Oakville area! Contact Us today to learn more about our services.